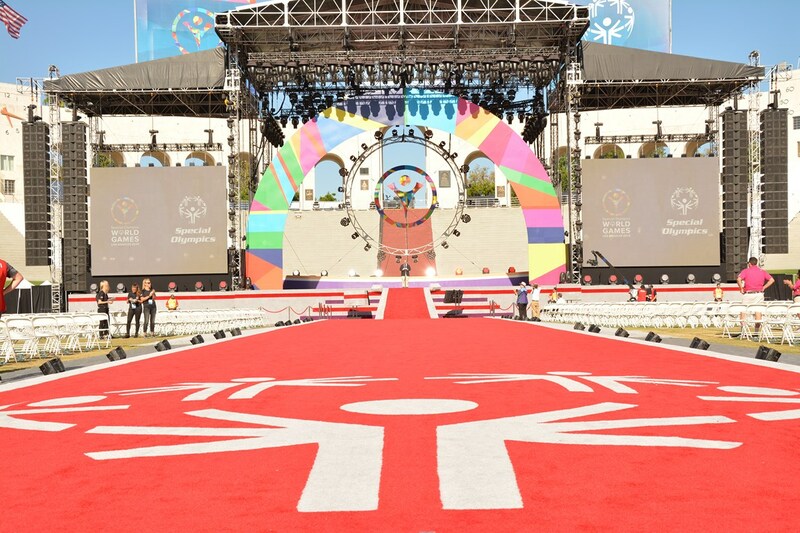 This is the first blog post in a series from Special Olympics Missouri Public Relations Manager Brandon Schatsiek who is in Los Angeles covering the 13 Missouri athletes competing for Special Olympics USA at the 2015 World Games. 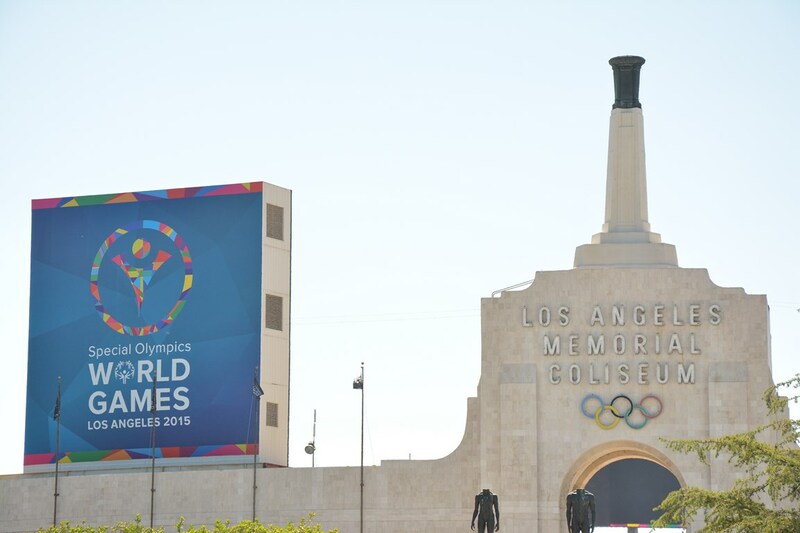 More than a year in the making since teams were announced, the 2015 World Games kicked off yesterday in beautiful, sunny Los Angeles. It’s been a long time coming for the athletes, coaches, families and staff who have worked so hard to put the best possible teams together to represent the USA. The softball team and Bobby Williams, our tennis delegate from Kansas City, have been practicing in LA for a few days now and are more than ready to actually start competing. 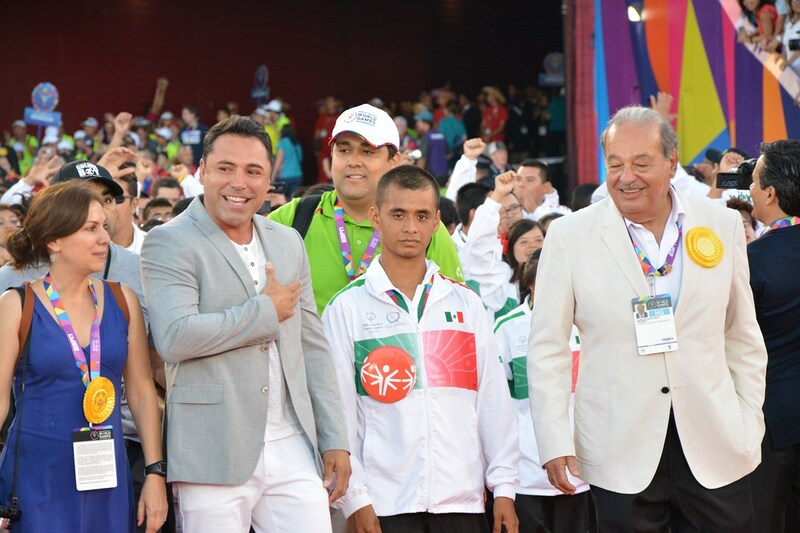 But first things first, we needed to kick off the games with the Opening Ceremony! As a “media member” this week, I was lucky enough to be allowed down onto the field to take photos of the parade of athletes. We got there early enough that we could pick out the exact spot we wanted and made sure to tell our delegates via text which side I was located on so I could get the best photos possible. 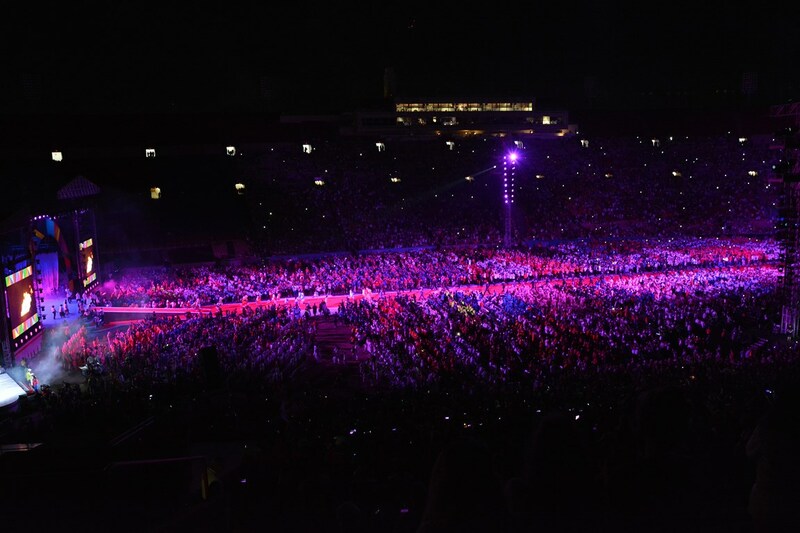 Being a huge sports nerd, just being in the LA Memorial Coliseum was a real treat for me. Knowing that it has hosted the Olympics (1932 and 1984), several international soccer matches, unforgettable University of Southern California football games and much more, it was really cool to finally see it in person. It was hotter than blue blazes in general yesterday, but standing around on the field waiting for the festivities to begin made it even worse. Once the parade did start and the first country (Greece) kicked it off, all that other stuff faded away. Knowing I was really only there to take photos of Special Olympics USA, and even more specifically our guys from Missouri, I still couldn’t stop myself from taking shots of as many countries as possible as they walked down the red carpet (would you expect anything less glitzy in LA?). 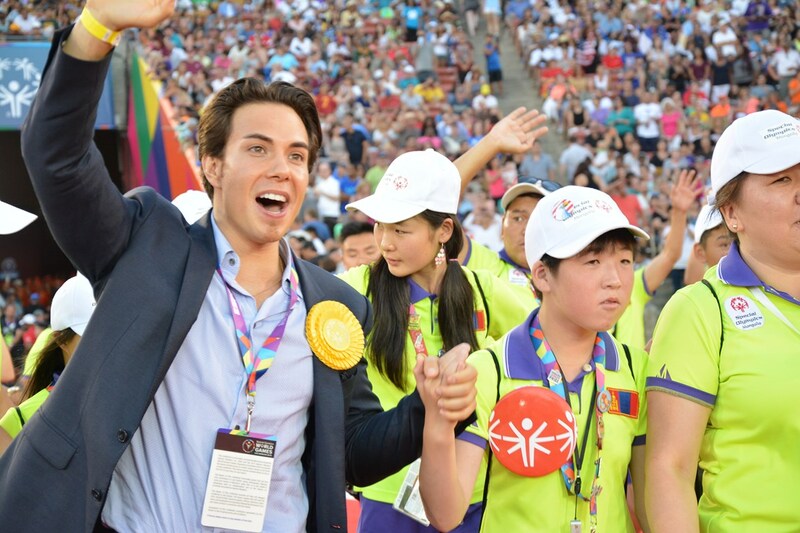 Everyone was having such an amazing time and it felt like every other delegation had someone famous marching in with them (Justin Bieber, Colin Farrell, Dikembe Mutombo, Michelle Kwan, Apolo Anton Ohno, Oscar De La Hoya, Paula Abdul, Jamaal Charles and more). 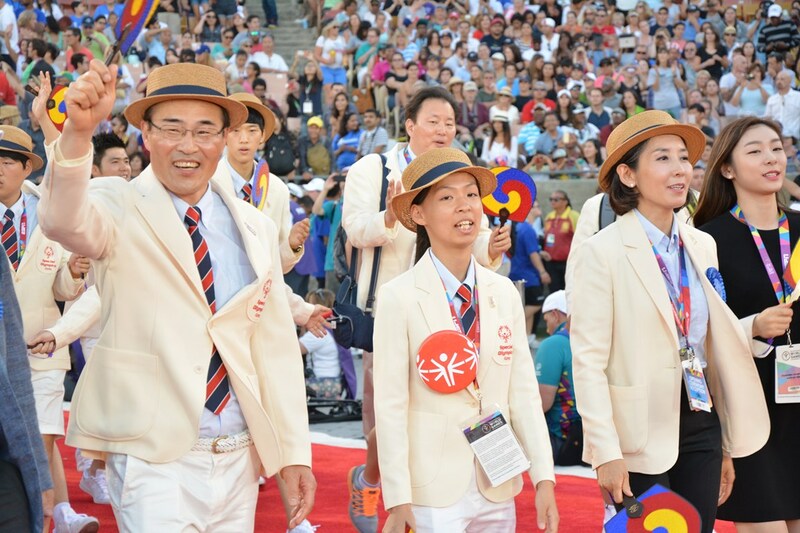 After an hour and a half of standing, sitting, standing, sitting, standing, sitting, stan… (you get the idea), the moment had arrived for the home delegation to enter the stadium. It was rather impossible to not get chills as the crowd noise grew from a low murmur to a thunderous applause as our US delegates came through the tunnel. I was barely able to scream loud enough at Bobby so I could take his photo. A few seconds later I saw Susan Shaffer (softball coach and SOMO staff member) locked arm in arm with one of our softball guys Ronald Tetreault. I yelled at them loud enough so I could grab as many photos of the whole team as possible. It looked like every one of them was having such an amazing time. I am just so glad that I could be a part of this experience for them and help document their trip. Everyone then took their seat on the field and I went to sit with some other Missouri folks in the nosebleeds. The show itself was pretty good (with performances and appearances by Stevie Wonder, Avril Lavigne, First Lady Michelle Obama and more), but the lighting of the torch was by far my favorite moment of the night. The torch came in the stadium and was passed to and from athletes and coaches from other countries on the walkway until it was eventually touched to the cauldron and declared the games open. 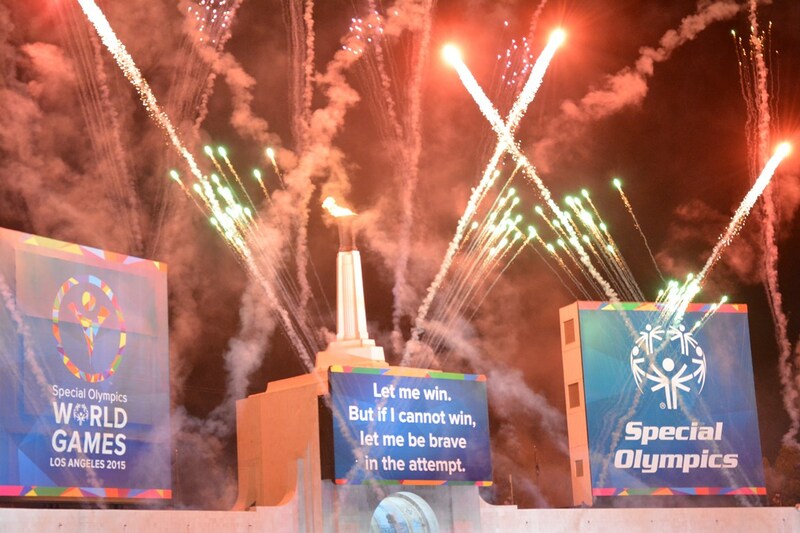 Fireworks went off around the stadium and the cauldron that was set ablaze to open the 1932 and 1984 Olympics, was now lighting up the southern California sky not just for the 6,500 athletes competing this week, but the millions of people around the world with intellectual disabilities. Being on staff only a little over 2 1/2 years, I’ve been able to experience a lot with Special Olympics, but nothing compares to this moment. Standing there and watching as country after country (165 total) and delegate after delegate (6,500+) walked through that tunnel, it showed me what was so hard to comprehend before — that this is truly a worldwide phenomenon. 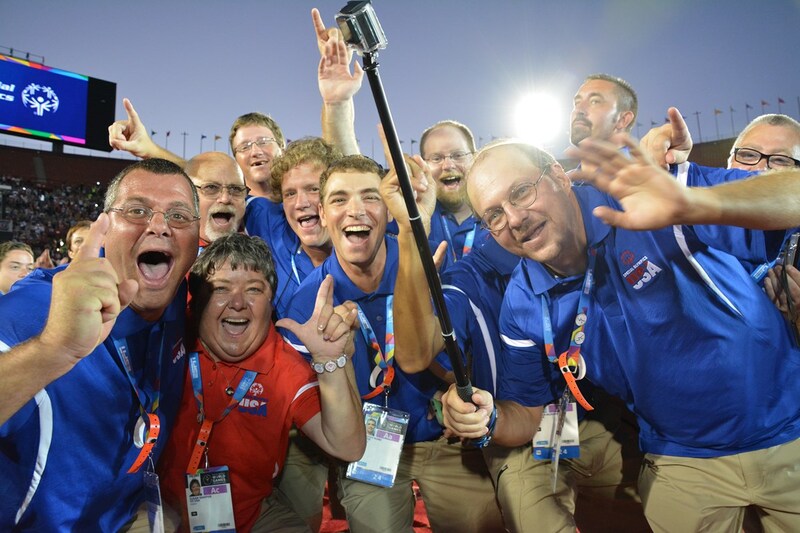 It’s so easy to think you know what Special Olympics is all about — just sports, right? 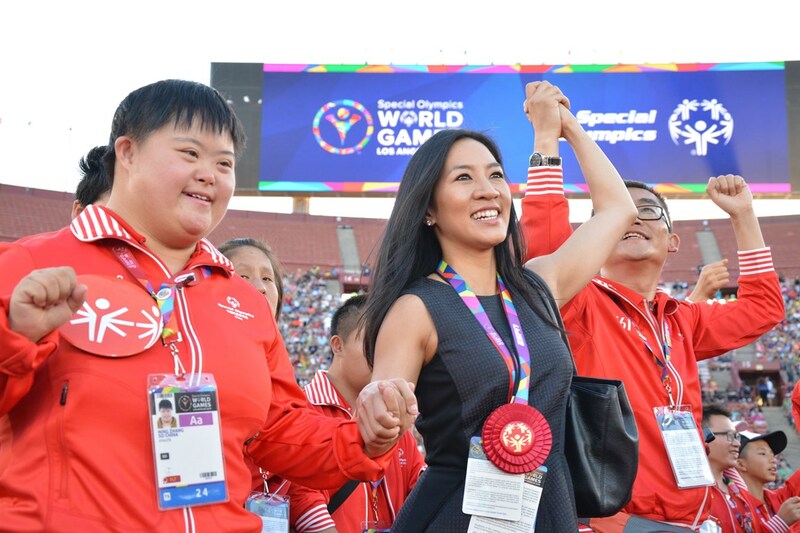 — but until you see all of the participating countries’ athletes marching in with their native and flamboyant apparel chanting and screaming with smiles on their face and sometimes tears running down their cheeks, the real meaning of it all isn’t seen until that very moment — inclusion. 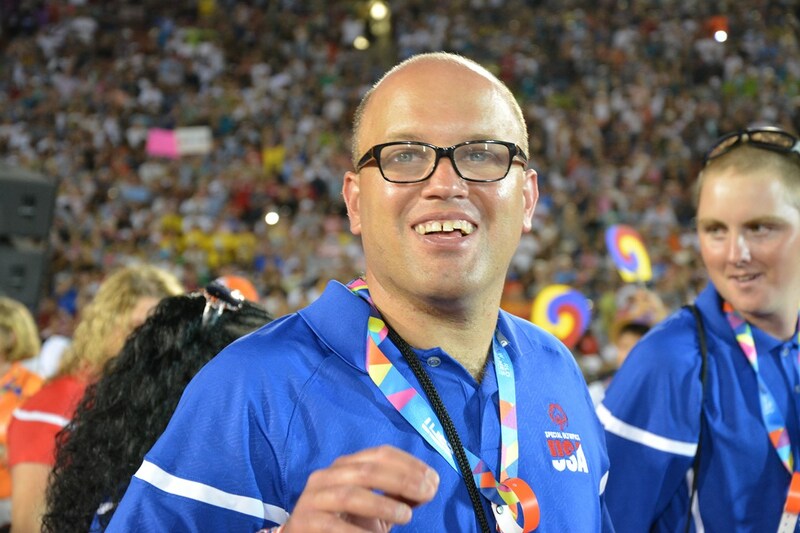 So many of the speakers (President Barack Obama and the First Lady Michelle Obama, SOI Board Chairman Tim Shriver, Maria Shriver, athlete Global Messengers and more) talked about exactly that — this week is about proving to other people what you’ve known as an athlete, as a coach or as a family member have known about people with intellectual disabilities — that they belong. Whether it’s on the field of competition or in the classroom or in the community or in the workforce, no matter where it is, you belong. Tennis (Bobby Williams): 10 a.m.
For more photos from the Opening Ceremony, visit our Flickr album or our Facebook page. Also stay tuned on our Twitter account and website as we’ll post live results as they come in.